The following is a list of frequently asked questions and answers concerning animal control issues in Power County. Q: Within the last year did the Power County Commissioners create and pass a new leash law ordinance? A: No, they did not. This issue is addressed by Idaho Code §25-2805 – Dogs Running At Large. Any person, who allows their dog to run at large, is at risk of having a complaint filed against them with the Sheriff’s Office. The first offense will result in a written warning notice being served to the owner of the dog. Subsequent offenses will result in an infraction citation being issued to the owner of the dog. An infraction is punishable only by a penalty not exceeding $100.00 and no imprisonment. A record of the written warning notices that are served on dog owners is maintained at the Sheriff’s Office. Q: It was asserted that a dog bite case was not handled very well by Power County. Why does the County not take a dog into custody to quarantine it until it can be established that the dog does not have rabies? A: The dog bite case in question was prosecuted. The owner(s) of a dog that has bit someone are responsible for producing shot records and or for the quarantine process. Power County has no ordinances, no dog catcher or other resources to accomplish this any other way. I would caution dog owners to be aware that they may be exposing themselves to civil litigation in addition to whatever enforcement action law enforcement takes. Q: Why can’t more be done about dogs chasing school buses and or running at large. A: Each of you who own dog(s) has a legal responsibility to ensure that your pet does not run at large. Running at large means the dog is lose without a competent and responsible attendant or master. For example, if you let your dog outside, and you are not with it, and there is no fence to keep the dog in your yard or the dog is not on a leash, then it is at large. Idaho Code §25-2805, referenced above, is the only enforcement authority that the Sheriff’s Office has to address this issue. Since our meeting, we have received a complaint against dogs chasing school buses, and a written warning was issued to the owner(s) of the dog(s). Subsequent violation(s) will result in a uniform citation being issued to the owner(s) of the dog(s). Q: Why can’t more be done about livestock running at large? A: The Big Sky Subdivision is located within the boundaries of the Fort Hall Indian Reservation. All property within reservation boundaries is designated as Open Range. What that means is if you want to keep livestock off of your property, then you have to fence the livestock out. The written warning and subsequent uniform citations for livestock at large are only applicable within Herd Districts. Therefore, Power County has no enforcement authority over this issue at the Big Sky Subdivision. If a resident of the Big Sky Subdivision has too many animals (cows, horses, chickens, pigs, sheep), the Power County Building Inspector, Robert Steinlicht, may be able to help. His telephone number is (208) 226-7625. The Sheriff’s Office has assisted the Building Inspector with these types of cases in the past, and an ordinance violation can be cited. 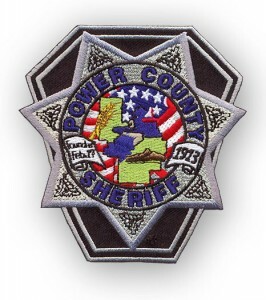 For more information about animal control contact the Power County Sheriff.